I send my greetings to you late this evening, filled with a lot of nostaglia (and noodles) writing a post that I was so sure at some points through this journey I wasn't going to be able to write. This is a story, my story, of my blogging journey. You see, this blog was started on a late evening, August 18th 2014 to be precise, by yours truly. I was very nervous to be honest and had no idea what I was doing despite a lot of accumulated research. After creating said blog, I played around with my blog design a little bit (I have no screenshots, thank God!) and just left the blog to sit there. I eventually wrote my plans and ideas down and decided to implement them. 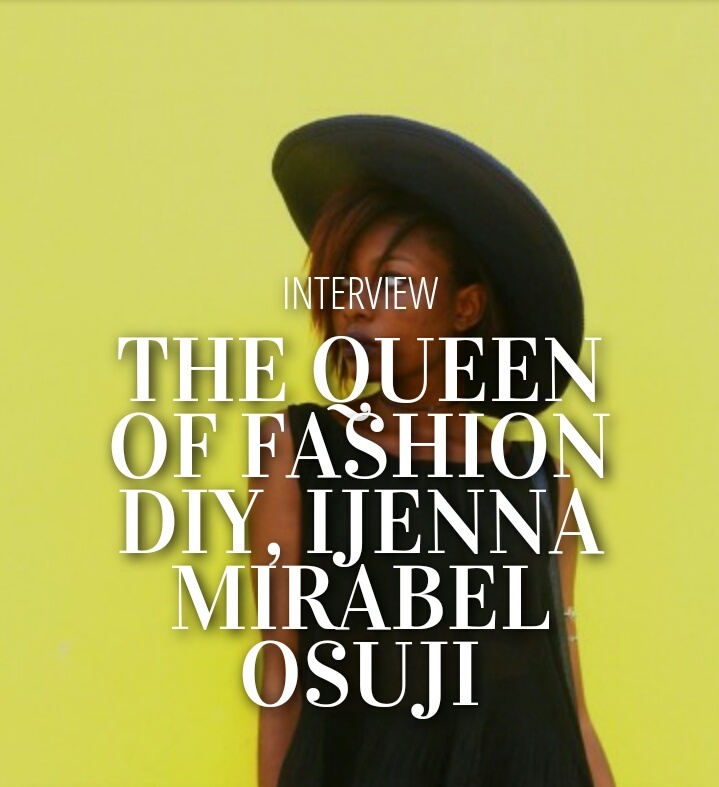 So you know how this blog is about my personal style, DIY, photography & fashion tips? Yea, it wasn't always that way. This happened as a very gradual process. 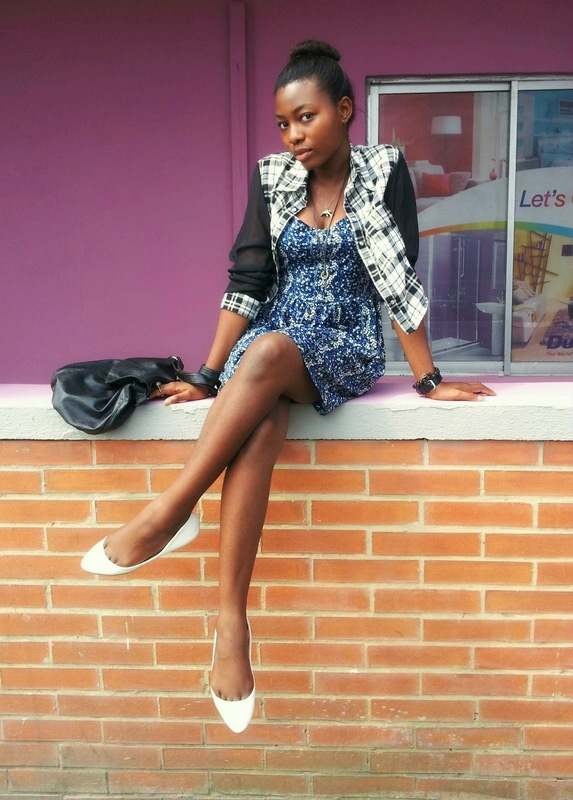 My first post was a fashion article like the kind you'd find on bigger websites, nothing quite personal about it. 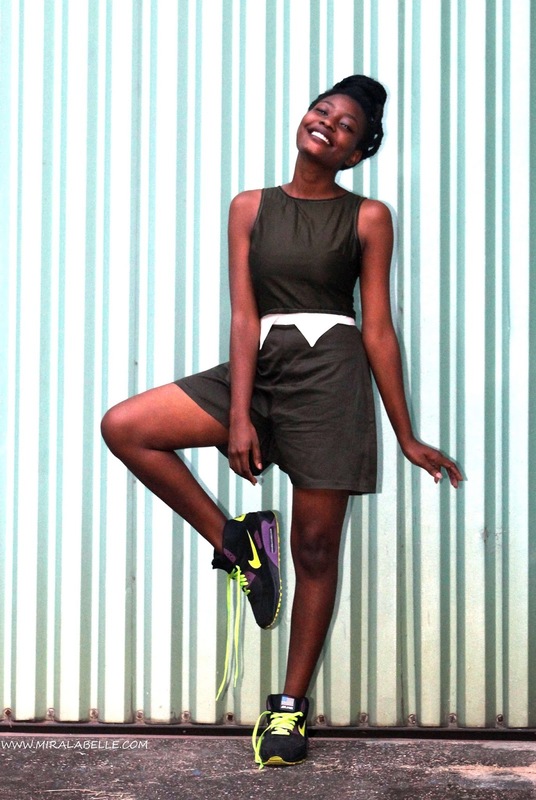 as seen in: How to Make Your Outfit Look More Sophisticated In One Simple Step. I don't even know what made me do the outfit post to be honest. I'd been seeing random personal blogs and the way they posted pictures of their outfits so I thought why not? 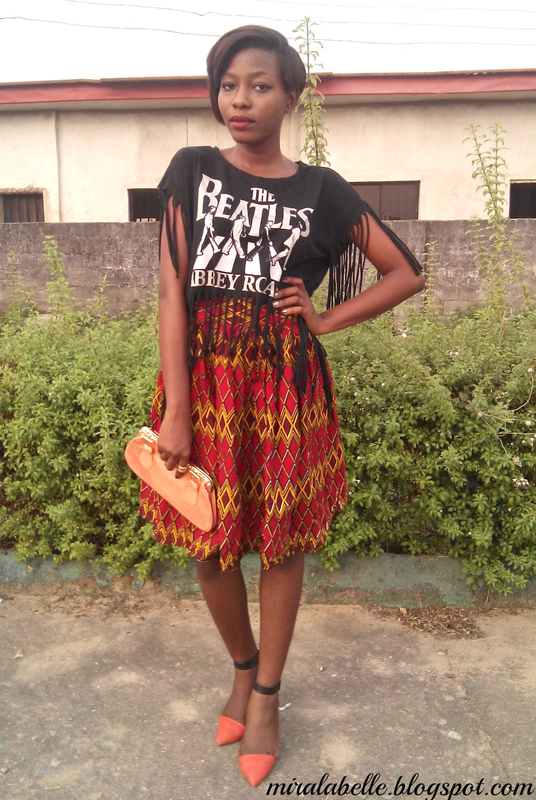 One afternoon after church when I was feeling fine and sturvs, I told my cousin to take some pictures of me with my mum's phone and... here we are. 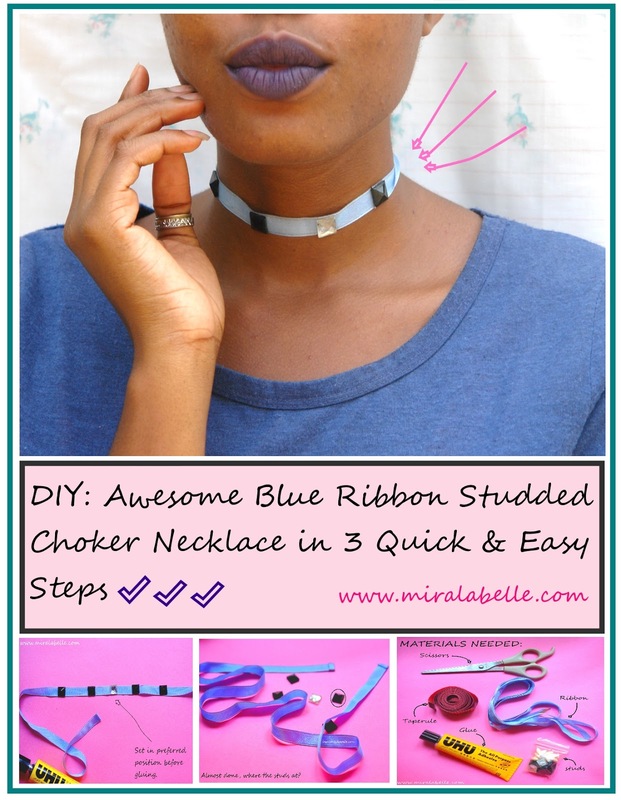 I had been DIY'ing almost all my life without knowing the potential this held as a blog topic. After going through some DIY blogs, I realized I had been missing out and immediately got to work. The problem was how to incorporate it? I'm still trying to. My love for photography started some way, some how and I just had to share it. I knew my style of photography was unrelated but I couldn't hold it inside. This love helped me in improving my blog greatly. Once the blog became more visually attractive, the more people were unlikely to dismiss it. True story. However, my topics weren't matching anymore so I had to look for a way to make it blend. I started sharing photography tips instead. 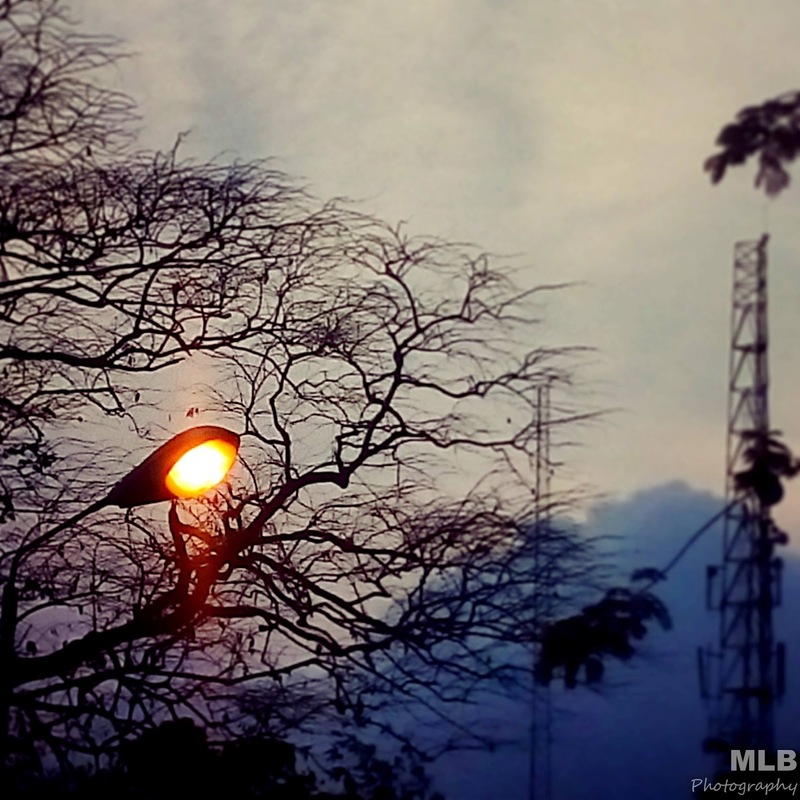 -How to take far better (blog) pictures with your phone. -Getting my camera and figuring it out. My photographer friend took this picture as a favour and I knew there was no going back. I had to get my Camera. Saved up and got one but the struggle to figure it out was real but google came to my rescue (as usual) and I figured it out quite well. Having my camera also meant I could use original photos for my blog.Yay! Bye bye to stock photos! I still use one or two though. Attending the Dee Mako's Bloggers brunch and the TBC blogger meet up really did it for me. I got to meet and connect with other bloggers for the first time ever. I started getting more comments and had blogger friends I could rant about my blogger problems to. The blogosphere was quite welcoming. I'd like to use this opportuntiy to thank everyone who featured me. I'm truly honored. Every single feature gets me so excited! If you're still reading this, wow. *blows kisses* Let's get down to the giveaway! 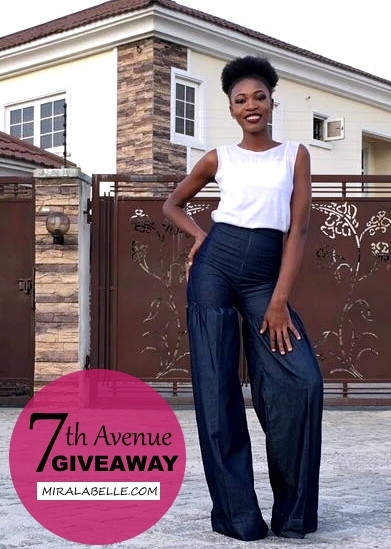 In honour of the blogversary, I, in collaboration with 7th Avenue, will be giving away an outfit to a lucky winner. 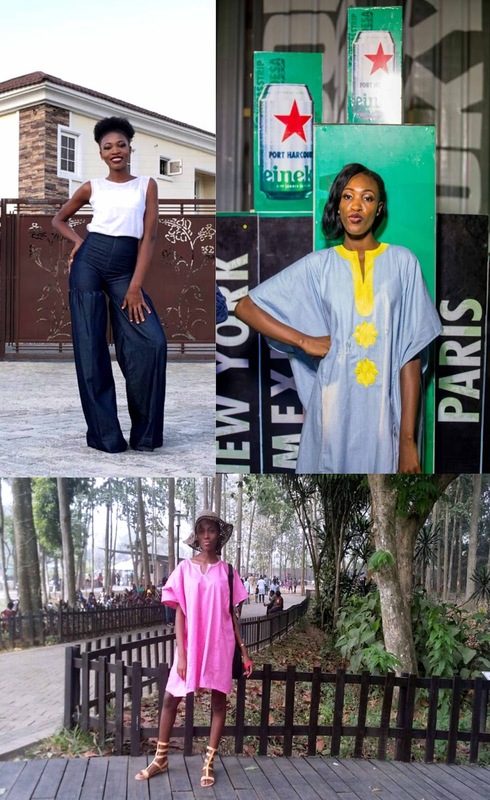 The outfit will be selected from the pictures below and will be custom made for the winner. 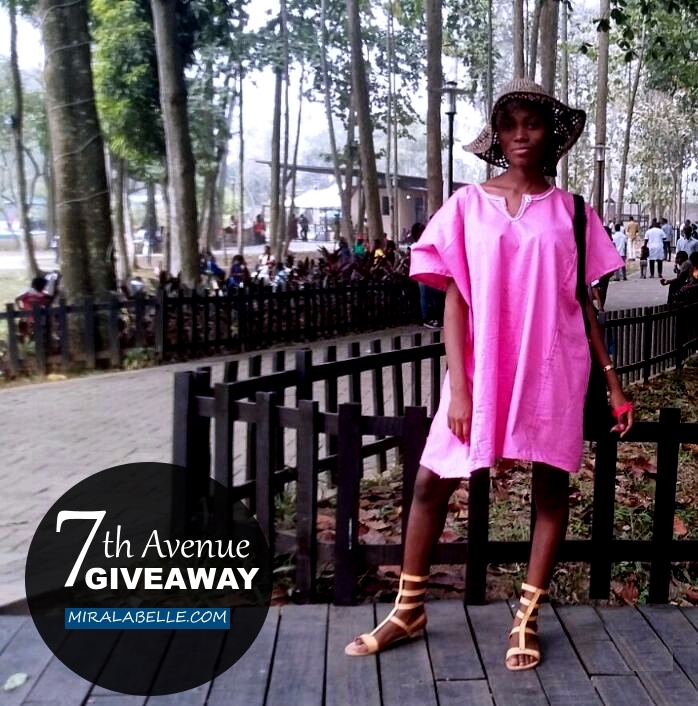 "7th Avenue is a clothing brand that specialises in creating beautiful pieces that are stylish, modern and cater for the diverse fashion needs of the African woman. We recognise her as a working woman who is down-to-earth, chic, edgy, willing to take risks, minimalist whilst being very original. We see her drives, passions, likes, dislikes, fears and successes. We work with colours, prints and textures that talk personality. We want our client to walk into a room and all eyes will set on her, positively of course. We want her personality to shine through. 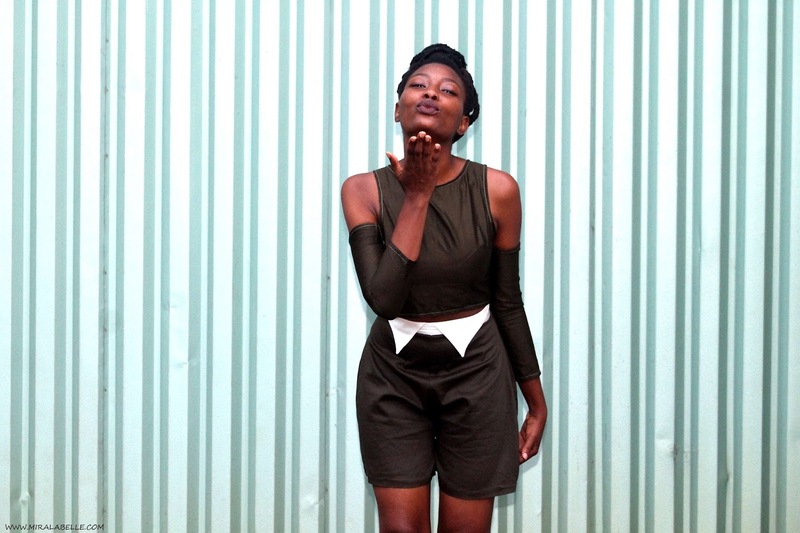 At 7th Avenue, we make your dreams into dresses." 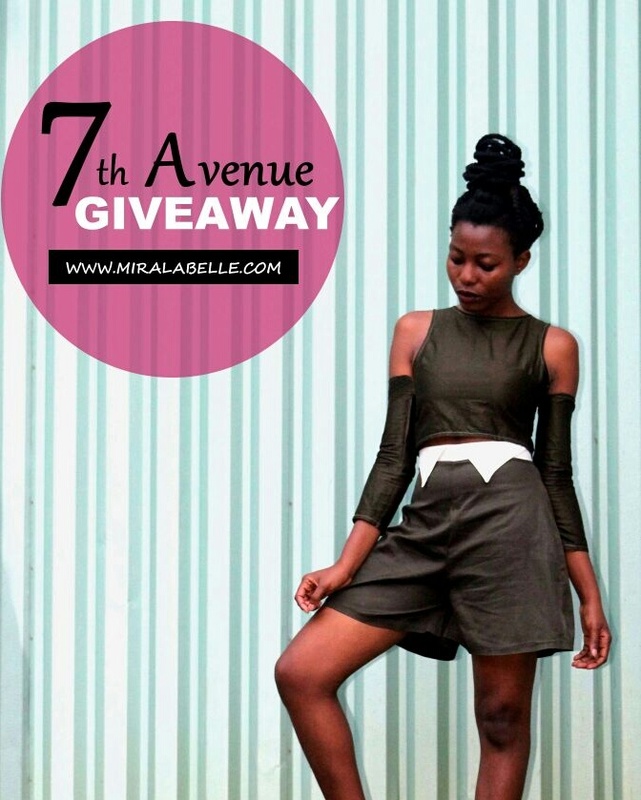 All you have to do is subscribe to my blog, follow me on Instagram, and follow @official7thavenue then repost the outfit you want from the pictures above using the hashtags #official7thavenuegiveaway and #miralabellegiveaway. That's it! Giveaway ends on Friday and is open to people in Lagos only (sorry guys). It's been an interesting process so far. Leave a comment, tell me your evolution stories (could be about anything), I'd love to hear from you! Oh and lastly, thanks for all the love! Hmmn, it was long but worth every second. I can still remember the first post :first of all,introduction. 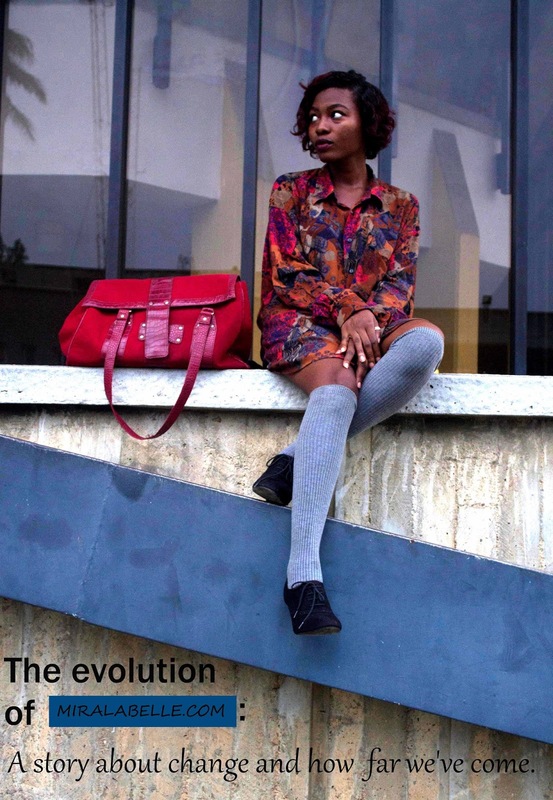 You've come a lonnnng way from that and I'm happy I witnessed the evolution first hand. Congrats on becoming 2. I would have loved to celebrate turning 2 as well but I'm not quiet where I want to be soo... Congrats again love! That's true! Didn't you also start your blog in July/August? I don't think you need to make it big to celebrate. 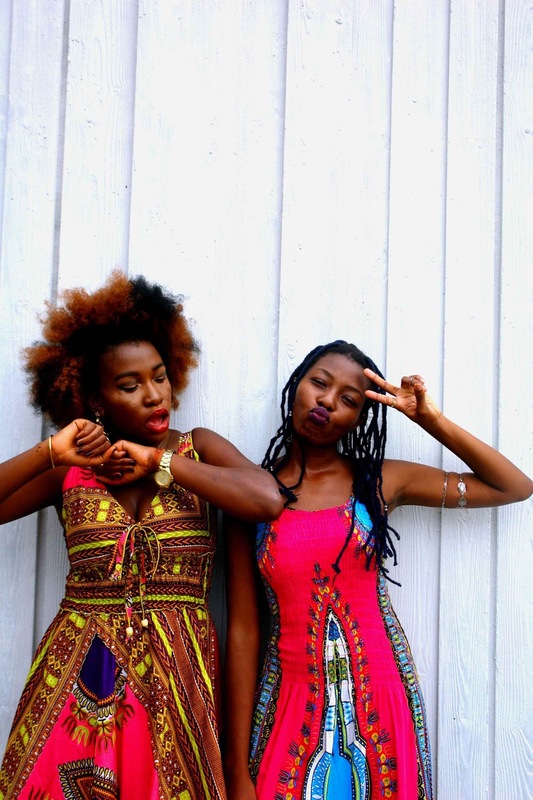 The fact that you're still blogging is a victory in itself. Many people quit after three months. Congratulations on two years of blogging, it's been quite a journey for you, even your throwback still looked fresh, na you oo. I enjoyed reading your evolution. Wow. Feels good to know your story. Your story is a pure case of consistency and your reward is development both personal and the blog. Keep up it dear. I wish I could take credit for actually being consistent but often time I wasn't. I've been putting in more effort these days. Congratulations darling. You know ive got nothing but love for you and your blog. Well done!!! Awww Ije! Congrats. Quite a lot of growth has happened in a long time. On to bigger things for you. This post didn't feel quite long oh - maybe I just like to read. I'm actually crushing on a new camera right now! I've got a bridge Canon. but considering getting DSLR so I can put all your photography tips into practice - my last blog post was on all the tech devices I'm crushing on - any advice from you will be great! Congratulations again! - Being a newbie blogger, I understand all the back-end hard work that goes into creating one blog post- doing it for two years is a huge feat! Thank you Kachee! I had no idea what I was getting myself into either. Thought blogging was quite simple. Little did I know it was like running a mini-magazine. I didn't even notice that it was long because you kept it intresting. 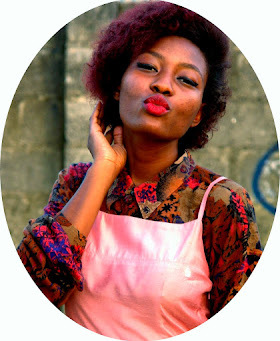 Blogging is not beans and am happy for you. Your throwback pictures are really fresh oh. Congrats on the 2years milestone. You really are the DIY Queen. 2 years already! Congratulations girl! You've gone a long way and you've really improved over time. And all your tips have been really helpful. God bless you and the blog. You've come a long way. I was completely blown away by your phone photography tips. With blogging, sometimes you have to keep tweaking and discovering what works for you. Here's to better blogging days ahead! Thank you Precious! Definitely more photography tips and posts to come. And you're totally excused for having terrible old blog posts. I mean, 12! That was really very early. Congratulations dear. Cheers to many more years of blogging and thanks for all the helpful tips you shared with me before i ventured on my own blogging journey and the other tips and advice you have shared with me since then. P.S We need to pop champagne, 2 years no be beans oh. Congrats on your blog anniversary! I enjoyed seeing how far you've come! Congratulations dear! You have done very very well! I liked that first photo from your first style post. It's very cute.